I'm sure I'll want to cite this someday, possibly in class but perhaps in the pub. What I'll be citing it as an example of, I'm not yet sure. Thanks to Leonid Libkin for spotting this. 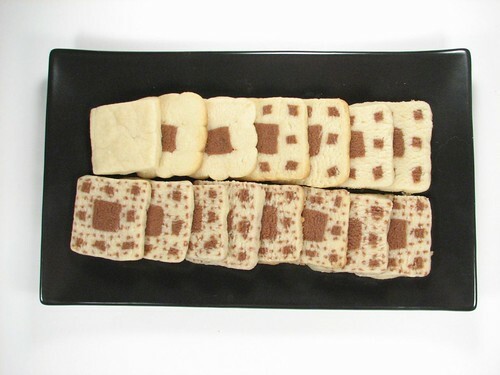 Sierpinski cookies and fractal pizza? Spotted via Boing Boing. 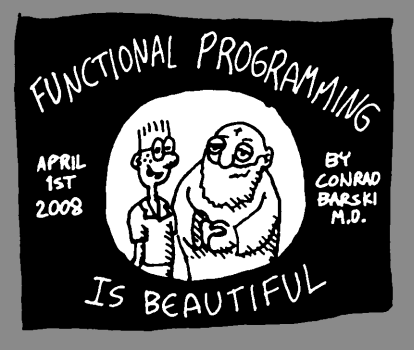 If you use Lisp and disdain Haskell, or vice versa, you'll want to read this brilliant Orwellian strip by Conrad Barski. Spotted by Ehud Lamm at Lambda the Ultimate. Thanks Conrad! Thanks Ehud!